In the long and storied tradition of Good Cards Growing Legs, we have a 2/3 Crucible for 2G. Seems pretty clearly Vintage playable. Noble Fish 2.0, anyone? Pretty cool card. A 2/3 body for 3 isn't great, but in corner cases a Crucible that attacks is pretty good. I'd say that this is easier to remove, but these days there is the same, if not more, artifact removal instead of creature removal. Being a Naga Cleric doesn't help Cavern decks, so I hesitate to see a good fit right away. Noble Fish probably just would prefer jamming True-Name at the 3 drop spot instead of this. I can't really see a deck wanting to play a harder-to-cast Crucible that dies to every piece of creature removal in the format but it's pretty cool. 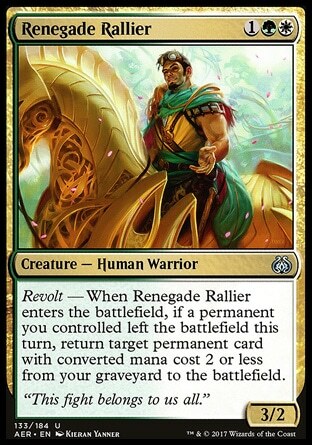 Is it an upgrade over Renegade Rallier? @thecravenone There's no comparison. Rallier recovers one land when it enters the battlefield, and then only if you have Revolt. Crucible lets you lock out your opponents with Stripe Mine and Wasteland, and incidentally lets you fetch out lands every turn. That's what this Naga does. I query whether this card finally makes Green Sun's Zenith make a serious dent in Vintage. Can we think of any time a Vintage-playable effect got legs and was worse? Seems to me every time they do this the effect gets better. Magus of the Jar? Magus of the Bazaar? Magus of the Moat? Magus of the Abyss? Magus of the Library? Magus of the Tabernacle? Magus of the Wheel? Magus of the Will? I dig this card. My first thought is BUG Fish, which already occasionally runs Crucible of Worlds. Someone suggested Green Sun's Zenith which is a nice synergy, as well. I mean... yeah, but... some of those did not JUST grow legs, they also got material drawbacks. Abyss kills itself. Wheel and Tabernacle and Bazaar and Will all cost more. The best counterexamples are probably Jar and Moat. With Jar, I guess the analogy is whether Tinker/Shops are so critical to Crucible that it's not good without them in the same way that Memory Jar owes much of its existence to those cards. I'm not sure that one is fair either. Rallier gets back one land or something else good so I think they're at least in similar slots. Magus of the Moat was in Brian Kelly's Championship sideboard. @The-Atog-Lord Magus of the Moat definitely has some advantages over Moat – and I really like it in Brian's list – but not enough that you see more Moats than Maguses in general. For the purposes of this thread, I think it's true that "adding legs doesn't ALWAYS make an effect better." I think the differences are largely explored in vintage. Attacking and blocking is awesome, but it's easier to kill creatures than it is to kill artifacts (usually, depends on the matchup). Blood Moon/Magus of the Moon is often a tossup, I think. This makes the bicycle lands look a lot more interesting. @desolutionist Could this card be great with Thalia? 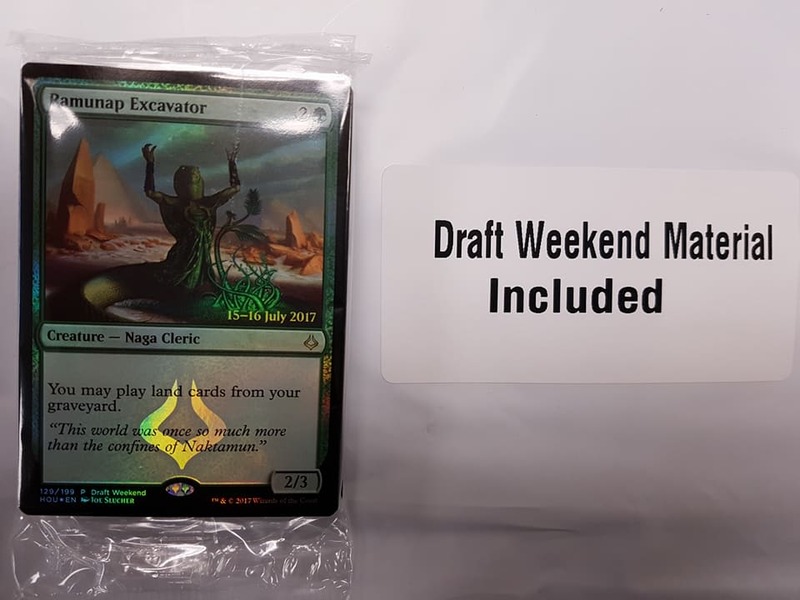 Minus points for creativity, but man this card is so good for GW hatebears. Now they just need to print Null Rod on legs. It is not uncommon to run two different creature types in a Cavern of Souls deck. I would want to try it in a Human-Cleric build. I think it looks strong enough to justify to test in a build a build like that with 4x Wasteland, 1x Strip Mine and then 2-4x Qhost Quarter, but only testing will tell if it is strong enough of course. Many of the White Wheenie decks I have been playing you would name Cleric anyway if you had a Leonin Relic-Warder on hand along with various humans that were also Clerics in addition to Humans. It's "easier" to remove than Crucible, but being a creature has some advantages too I suppose? Green Sun's Zenith seems interesting and it plays nice with Thorn effects. This is far from my type of card (:D) but I'm sure it's at least fringe-playable. There are very obvious problems with the deck, such as how little it chooses to disrupt the opponent. The original list had Starlit Sanctum in place of Wasteland, but a swap was made in order to include Ramunap Excavator. In the end, playing up the Ghost Quarter/Leonin Arbiter package that is used in Modern with Ramunap Excavator (and fewer colors) may be a much better starting point. However, very few decks in Vintage can deal with infinite life, so every Cleric that comes along is something I always take a second look at.